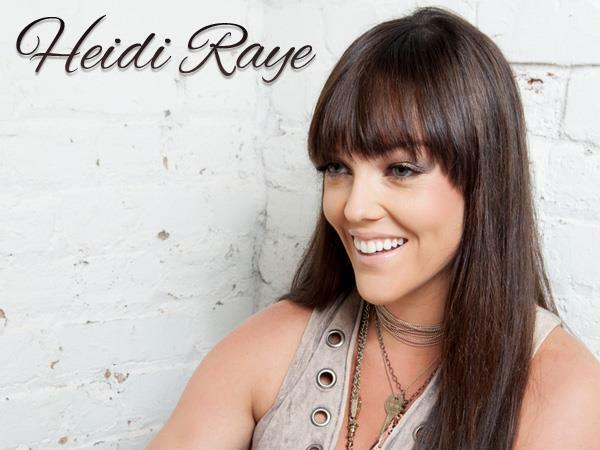 Join us this week as we welcome country music singer songwriter, Heidi Raye. Heidi is a force to be reckoned with. After making the move from Dawson Creek, BC, Heidi has proved herself to be Nashville’s fiery, charming and quirky go-getter. A natural entertainer from an early age, Heidi has written and toured with some of country music’s elite. From her first deal with Erv Woolsey to her current deal with legendary Hall-of-Famer Harlan Howard’s label, Harlan Howard Records, Raye has continued to kick open doors. She has written over 200 songs with Music Row’s most acclaimed veterans in the past year alone, and has shared the stage with country legends, Kenny Chesney, Randy Travis, Jason Aldean and Terri Clark. Grabbing the reins as a recording artist, Heidi Raye teamed up with Grammy award-winning producer Chuck Ainlay to create her new EP, Worth A Shot, released July 7th. Her influences include George Strait, Shania Twain, Brooks and Dunn, Reba, Miranda Lambert, Katy Perry, and Brad Paisley. We will talk to Heidi about her upcoming schedule, get a behind the scenes look at her new album, feature songs from the new album, and ask her to share her message for the troops. Please be sure to visit Heidi Raye at http://www.heidiraye.com and spread the word. Fans are welcome to call in and speak live with Heidi during the show (718) 766-4193. And as always we will give shout outs to our deployed military listeners. Our message to the troops: WE do what we do, because YOU do what you do.